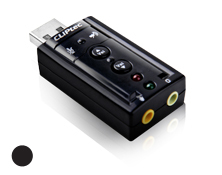 The CLiPtec BMA230 USB Virtual 7.1CH Sound Card (U-Sound) is highly flexible audio interface which can be used either with Desktop or Notebook systems. Bundled with 3D Sound simulation software, it turns your stereo speaker or earphones into 7.1 channel environment. 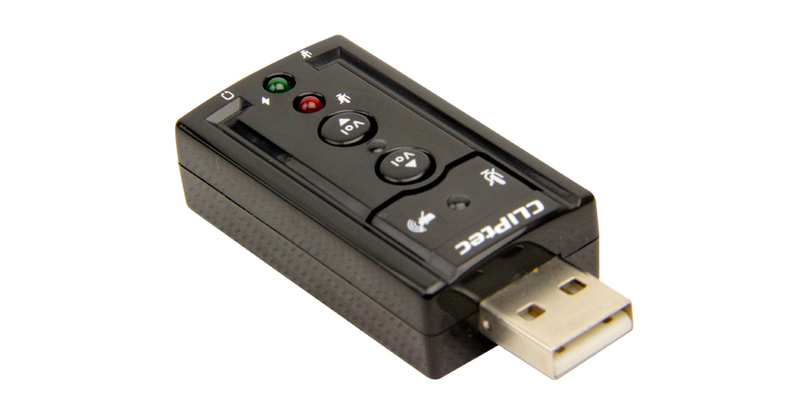 It is a useful adapter, presents you the straightforward and simple way to share your music to others. No drivers required, just plug and play or instant audio playback. USB Virtual Sound Adapter with red & green status indicator LED lights. With microphone-mute, speaker-mute, volume up & volume down control button. With 2 audio jack:- Stereo output jack, Mono microphone input jack. 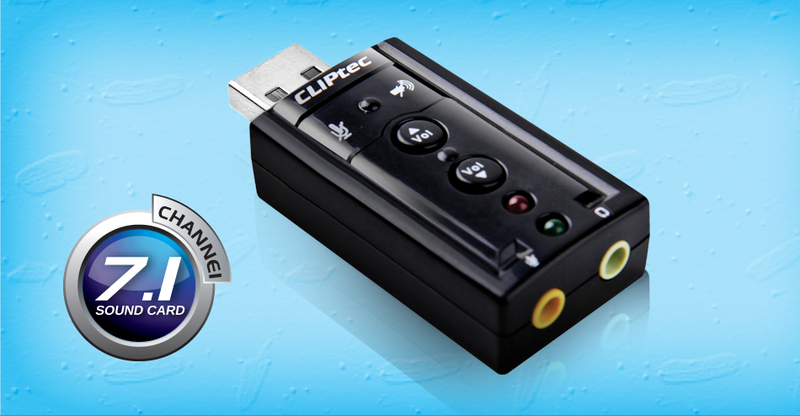 Excellent chipset C-Media CM119 bundle with Xear 3D Sound simulation software. 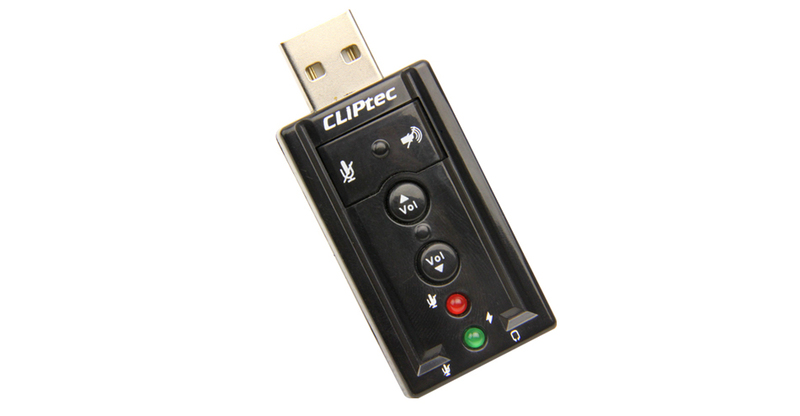 USB Sound Adapter compliant with USB Audio Device Class Specification1.0. No driver required for Windows ME / 2000 / XP / Server 2003 / Vista.